There was supposed to be this long and involved post about how my sister visited and how we are now trying our best to avoid the SXSW craze whilst enjoying the little bits of movies and music that we do like, but really, what I am most excited about is that I made my first chocolatey-gooey birthday cake with chocolatey-gooey frosting. It wasn’t perfect. It was far from, but it was moist and gooey and chocolatey (without being too much so) and I made it so it was fantabulous! 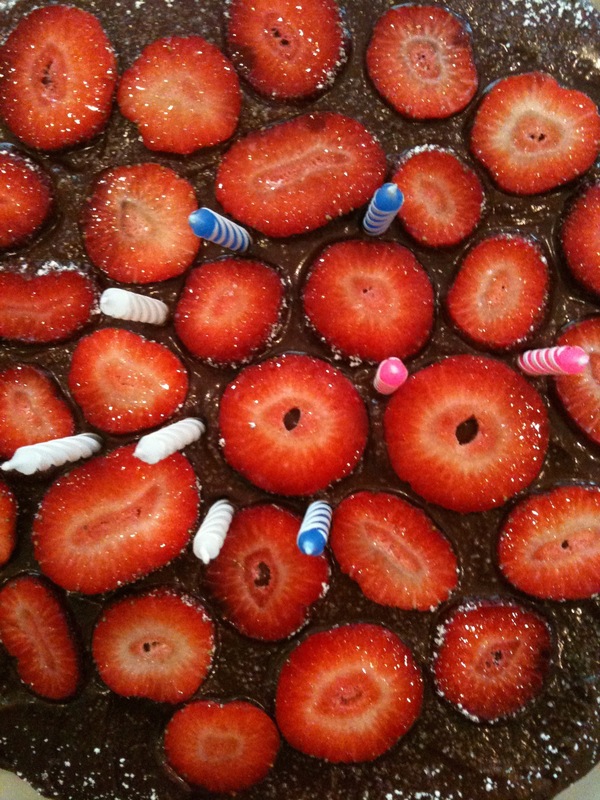 I used this recipe for the cake, a Martha Stewart one for the frosting and added some strawberries (my sister’s favorite) at the last-minute. Off to sleep, so I can be coherent and kind for what is left of Spring Break. I hope you are enjoying yours.